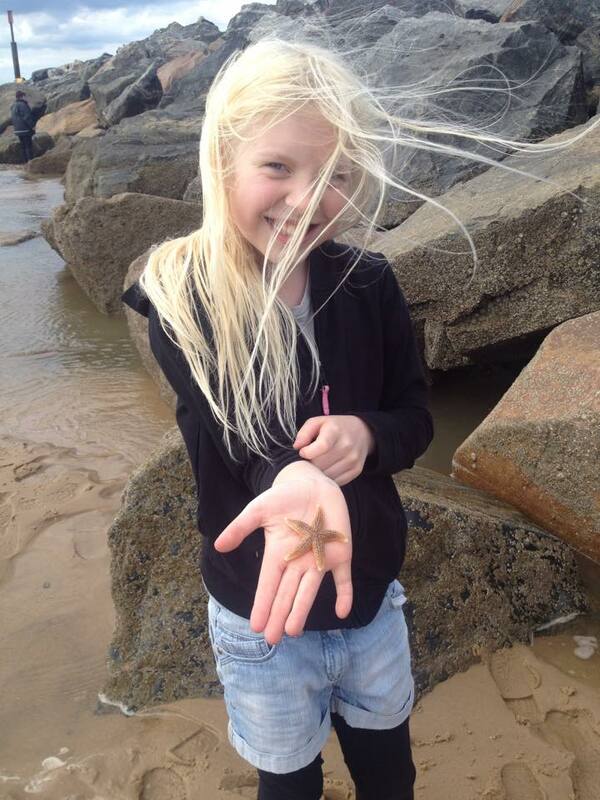 On Saturday we spent the afternoon at Sea Palling beach looking for starfish with our friends Lucy, Hannah and Chelle. We had checked the tide times so that we arrived just before low tide, this meant that we could safely walk out to the rocks where the starfish live, carrying our nets we set off over the sand and out to the rocks. The huge rocks off shore at Sea Palling are part of a man-made reef which calm the water and protects the dunes from erosion. It is on these rocks when the tide goes out that you can find starfish in the rock pools. It was very windy as we reached the rocks but not too chilly. The tide was still quickly going out so and at first it was quite difficult to find anything as the rock pools were still too deep, but to our relief as the tide continued to go out we were excited to find the starfish. We picked them up and they felt bumpy on the top but underneath they had tiny little feelers which tickled your hand. We handled them carefully so we didn’t damage them. They were fascinating to watch as their feelers moved in ripples across their bodies. Climbing on the rocks was fun but we got wet because some of the rocks pools turned out to be deeper than we thought! Suddenly Lucy’s hand began to tingle and swell and she realised she had been stung by a jelly fish hidden in the rock pool, after long discussions about whether we should wee on her hand we decided to get it checked by the lifeguards. The life guards were very helpful and said no we should definitely not wee on her hand much to Lucy’s relief! If you love looking in rock pools Sea Palling is the perfect place to visit but you must check the tide times before you go as you can only safely reach the rock pools at low tide. 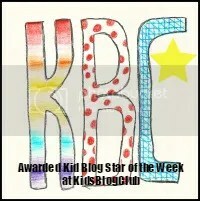 i’m new to your blog, but I love it already. I really like the idea behind your blog!